I have a Dell E6430 laptop with an Intel 4000 integrated gpu. I am trying to upgrade it to a GTX 1050 TI eGPU with the GDC Beast expresscard adaptor and a 450W power supply while using the internal display. The problem is that when I plug the GPU into the laptop after startup, the gpu is not recognized by the device manager. When I try to download the Nvidia driver from the CD and the website manually, it gives me the "Nvidia cannot find compatible hardware". When I plug the GPU into the laptop before startup, I get a black screen and my laptop starts up, as I can hear the startup screen, but the screen stays black. The light is on for the GPU and the fans are spinning. My laptop seems to recognize the GPU because it acts differently on startup when it is plugged in, but doesnt recognize it if I plug it in after. I have tried to follow some BIOS setups like disabling Wake on LAN, NIC onboarding, and Integrated NIC. I also tried to use DDU to unistall both the intel GPU and the Nvidia GPU while restarting. I have tried to use an HDMI from the eGPU to an external display and get the same black screen. I also tried it on another laptop and the Nvidia showed up in the device manager on that laptop. I am just trying to play PUBG! Please let me know if there are any suggestions, Thank you! I ended up getting setup 1.35 and got my laptop to recognize the card and got an error 43 and decided that I was just going to switch from the gtx 1050 to a 960. So now I did that, used DDU to get rid of all previous Nvidia drivers. My laptop now gives me an error 12 with the new 960. I tried to use setup 1.35 to get rid of the error 12 like I did with my 1050. Except it doesn't work. I tried the steps in both of the videos and it defaults to my Intel 4000 when I run the test chainloader after compaction. I don't really want to get into all the windows files to change the dsdt if I don't have to. Any ideas? How did you get your laptop to start recognizing the egpu, since the same thing happens to me when I restart the laptop the screen turns black when the egpu is connected. I have the same effect with my 13" MPB 2015 (not with the 15" MPB 2018). I can't boot with eGPU plugged in. There is only one way: To Hot-Plug. Plug the cable just after the bios splashscreen. I have an HP Envy x360 u011dx laptop with an i7-4510u CPU and 16GB RAM running Windows 10. I'm trying to connect a GTX 1050Ti to its mPCIe port (where the WiFi originally was). When I start the computer with the cable plugged in, both the laptop screen and the HDMI monitor on the eGPU are black, not even the backlight turns on. I see disk activity that stops eventually, so that suggests that the computer is booting. I tried this setup with a different laptop a couple hours ago and it worked great, so I know that my GPU, EXP GDC, PSU and cables are good. 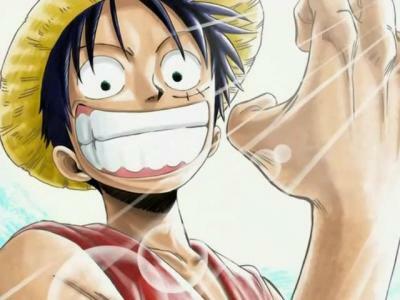 When I boot with my external power supply off but all the cables plugged in, it runs normally. -All the combinations of ATX power and PTD switches (6 total combos), same result each time. When the ATX power switch is off, the GPU fans do turn on when I turn on the computer. -Booting with the PSU off, then pausing boot by pressing esc. Then, I turned the PSU on and continued booting. It worked normally and nothing new showed up in device manager. I also tried pressing f8 and f12 during boot, but it starts so fast there isn't time for them to register. When I had GRUB2 installed for Ubuntu I could occasionally get f8 to work, but now I have only Windows. -Booting with the WiFi card in, putting the computer to sleep, swapping it out for the eGPU. When I wake it up, both the screens stay black. -Putting masking tape over pin 22 as pictured here: < > . It booted normally and didn't recognize any new devices. I also tried installing the NVIDIA driver after each step in the hopes that it would find the card. Each time it said my system didn't have compatible graphics hardware. UPDATE: It works with Ubuntu 18.04 with Nouveau or proprietary drivers, but I can't use the laptop screen while the eGPU is plugged in. That's not a major issue, but my end goal is to get it working on Windows. I tried putting my Windows SSD into the laptop it worked on and installing the NVIDIA driver and nando4's code 43 fix. It worked again on that laptop, but still no luck on my main one when I put the SSD with the driver back in. same happens to me, i cant boot the laptop even with just the cable connected to my laptop. laptop wont boot, its just the black screen with blinking caps lock. does anyone have a fix?? @djamalovic If the fans on your 980Ti don't turn, then you probably don't have power going to the card. Make sure the power supply you're using is strong enough and that all the necessary 6-pin connectors are properly plugged into the PSU and the GPU. Also, switch the ATX PWR switch on your EXP GDC so that the graphics card is always on and doesn't wait for the computer to boot up. Once you've gotten the fans spinning on the graphics card, plug it back into your computer and keep trying. I am having a problem with my exp gdc, i bought the M.2 M Version, the problem i am facing is that i cant see my card on device manager. Has anyone faced this issue before ? I tried too look on the forum but i didn't find anything useful. I have a HP Pavilion Power 15-cb003ng. It has an integrated intel GPU and a GTX 1050. I have a 650W Power supply that I bridged the Power on signal to ground permanently, so the power supply is always on. I have DDU'd the GTX 1050 and set up a group policy that prevents any drivers to be installed for that GPU. I cannot install my 1080 Ti card without getting an error 43. Tried the old driver method as well. Is there anything I can do or is my experiment over? I'm stuck with an Error 43, with GPU-Z displaying the clock information as 0 MHz in all fields. See my forum signature for my hardware details. I tried to set the delay switch to Off, 7s, and 15s, but none helped. - Plug in ExpressCard adapter as soon as I get the laptop's boot screen, before Windows starts loading. Any tips? Does the 0 MHz clock rate mean that it must be an issue with correctly powering on the eGPU, or could it be a driver issue as well? @taylan Have you tried nando4's error 43 fixer script? It worked like a charm for me twice. @Jousboxx sounds promising, thank you! Will try in a bit. By the way, another issue I've noticed is that when I completely remove and re-install Nvidia drivers, it installs the ones for the dGPU in my laptop (Quadro K3000M) instead of the eGPU. Is there any way to completely unattach the dGPU? EDIT: Correction: it seems to install drivers for both the dGPU and eGPU. Don't know if that's good or bad. I wonder if the problem is with power input to my eGPU. It has one 8-pin and one 6-pin extra power input port, and I'm feeding only the 8-pin one. @taylan The 6-pin connector on the EXP GDC Beast is an output. If there are any 6-pin connectors on your graphics card itself, they need to all have power going into them. You can use the 6-pin out on the Beast to power one of them, but if there are two then you'll need a power supply with a 6-pin out. As for your driver situation, I can't help you much as I have never used a laptop with a dGPU. However, you might want to try installing Ubuntu Linux just to make sure it isn't a hardware problem. Linux tends to have much better hardware support without needing to mess around with drivers. Right now, I'm struggling to get my setup working on Windows. Both my external monitor and laptop screen are black in my BIOS and Windows, even though I have the NVidia drivers installed and everything. On Ubuntu, the external screen works perfectly. My graphics card has both an 8-pin and a 6-pin power input. I've already ordered this 6-pin male to 6-pin male + 8-pin male cable with which I could connect the 6-pin power output of the Beast to both inputs of the graphics card, but the shipment has been taking a while so I've been trying the setup with my PSU connected to the 8-pin power input of the graphics card, the 6-pin input being empty. I hoped it would be enough for testing purposes, but maybe it isn't. I'll also see if the Quadro can be unplugged. Thanks for the tip! Definitely go with the newest version of Ubuntu. I am running a GTX780 on Thinkpad T430 and after updating to Windows version 1809 yesterday 12/2, the system doesn't even recognize there's a 2nd GPU available (like it always has since using Nando's eGPU setup v1.35.) Typically it would show up in Display Adapters, but the 780 is not there at all now. *Just a "Video Controller (VGA Compatible)", and I didn't know what that was, so I didn't mess with it, until 12/4. see edit below. Was able to get system to recognize consistently "Video Controller (VGA Compatible)", so I tried an auto-update of that driver in Windows. My GTX780 works again, was automatically installed by Win10, no other updates needed. I have 16GB of RAM in my T430 still. I have an old laptop w/ nVidia dGPU (all tech detail down below) that ran my old AMD eGPU for some time. It ran well. Now I bought new nVidia eGPU for this laptop. Tested, worked ok on my PC. So I wiped AMD drivers via DDU. Then connected new eGPU to my setup. Booted. Then installed latest nVidia drivers. And got Error 43 in windows device manager. Tried the script. It did not help. Then tried this guide step by step, it did not help. GPU-Z screenshot. As you can see, GPU clock info is not there for some reason. My only possible explanation is that laptop's BIOS sees something from nVidia and initializes it incorrectly as if it was its internal dGPU for some reason (dGPU is nVidia too and it is turned off in BIOS). What else can I check? What else can I try to make it work? laptop: Acer Aspire 5830TG 2414G64Mnbb. It has mPCIe x1 2.0 slot. mPCIe to PCIe x16 adapter: cheap one from aliexpress that use USB 3.0 cable. @taylan Have you had any success with your error 43? It seems that my issue is similar. 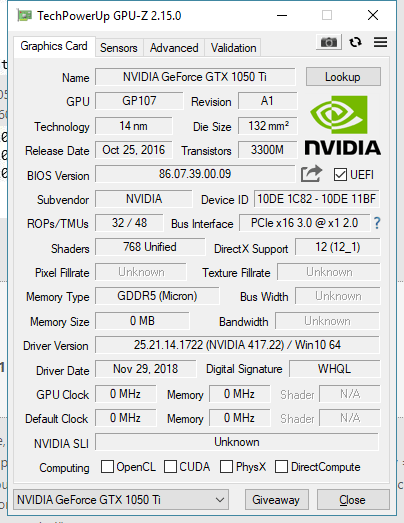 nvidia dgpu + nvidia egpu = error 43? Is it universal? Had anybody solved it? Should I go AMD then? So many questions. Hello I recently bought a EVGA 1060 3GB and the 7$ mPCIE eGPU adapter I wanted to connect it to my spare mPCIE slot but it isn't detecting anything I removed the WIFI card and tried to connect to it's place and it worked but I still want to have my WIFI anyway fixing this on BIOS ? So I got my Lenovo Y500 with the 3630QM I7 CPU and 8GB RAM and got it running with the GTX 1060 with 6GB. It was kind of tricky because I had to install that modified old NVIDIA Driver v. 369 with the not clean installation of newer drivers (tried several). This got rid of the error 43 for me. Also I had to wrap my EXP GDC in tinfoil and dont get regular crashed on heavy load of the card. I also deactivated the 650GM grafics cards of the Laptop, as well as the sound of the egpu and setup an external Display (60 Hz). Everything fine so far...when I play witcher 3 or run heaven benchmark I get the 100% GPU usage, while the RAMs and the CPU are below that and comparable to what other people get, as far as I can tell after researching. In witcher 3 with all the Hairworks Settings off and everything als on High (not highest) I get like 26-45 fps with like 32 on average. Fortunatley there are many people out there who show there Performance in this game with the GTX1060. Their results show, that witcher 3 should easily be running on max settings at 60 fps or even more! So I'm asking myself whats wrong with my system? If the GPU usage is 100% then the bandwidth can not be the problem I guess?? Everything worked fine, I bypassed the error43 fixing it via the script, my 1440p Dell U2515H monitor connects to the GPU and everything is fine until it suddenly shuts down. It also turns off whenever I try to boot up a game and get some Windows error about not being able to boot up the screen driver. From what I've noticed the PSU just randomly decides to stop working, causing the GPU to do so as well. I am unsure what's the issue. My iGPU and eGPU both show up as fully working in the device manager (running a 372.54 driver to make sure it works fine). The Beast doesn't emit any light while using it though. I see the ATX switch is off, do I enable? 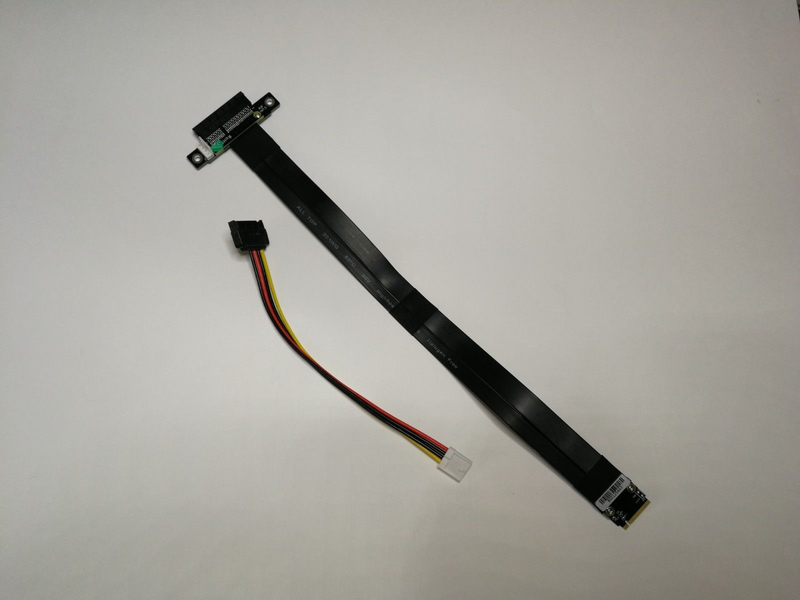 Haven't had any success yet, but I'm waiting for a special type of Molex cable from China (6 pin male to 8 pin male + 6 pin male) with which I'll be able to provide enough power to the eGPU for sure. Currently I can't be sure whether it's the insufficient power that causes it. I have difficulties to set up my egpu config. I tested several things but nothing seems to work. I appreciate if anyone can help me. -> maybe it cannot work! : "The two PCIe powered riser cards I bought were PCE164P-N06 VER 008S and PCE164P-N08 VER 009S. Only the PCE164P-N08 VER 009S worked in this test." -> I tested the graphics card and it's OK, so the conclusion of this post is the PCE164-N06 is faulty ? During the writing of this post I realized to PC12PC1-N03 is not the same version as PCE164P-N06. Could be the problem? I've looked at the error 12/43 guide and I've used the paperclip trick to rig my setup to always be on. I'm able to consistently get the 980 detected in the device manager, but it always gives me error 43. I've been trying to get my dGPU to stay disabled, but I have yet to actually get it to work. I've gotten as far as disabling the individual INF and PNF display driver files associated with my dGPU, but when I uninstall the dGPU in device manager and restart my computer, my eGPU still displays error 43 and the dGPU pops back up in device manager. I'm sure I'm doing something wrong here, so I thought I'd ask on the forum. Thank you all in advance for your help. i have old laptop ASUS K43SD, and trying using EXP GDC v8.5d with RADEON RX 550. But when i am instal all the hardware (use mini PCIe) the EXP GDC can't power on ( lo green light or blue light on, my PSU fan and VGA fan also not spinning. What should i do ? should i reinstal the windows ? I have been tried upgrade bios from Asus support but still can't power on the EXP GDC. I have started a build for work with an Intel NUC (NUC5i7RYH), using a GTX 650OC as the eGPU. It is currently connected from NUC to GPU using the M.2 port into an M.2 to USB 3.0 adapter, USB 3.0 cable to the PCIe 1x to PCIe 16x adapter card ( https://www.amazon.com/Riser-Extension-Cable-15Pin-Power/dp/B072C2GGTP). The GPU is being powered by an RM650x. I have solved some previous issues with the PSU and it is now working fine, the GPU is happy to power on as soon as I paperclip the PSU. However, the GPU is not being detected through the M.2 slot, regardless of boot/power order or combination of M.2 and PCIe adapters; it does not appear in the graphic BIOS under PCI (it says that the M.2 slot is vacant/unused/unassigned) and neither the M.2 port or the GPU are appearing in the Device Manager. Any advice for how to get things running would be much appreciated. I have an Alienware 18 laptop and I have a 1080ti that I want to install to it with the EXP GDC. I have been struggling to get this to work properly. It took many many attempts for the regular drivers to install properly but after clearing my laptop with DDU I was finally able to get 416.35 to install successfully on my laptop. However, to my dismay after rebooting, the Drivers still aren't being detected but the script says error 43 has been solved. I ran the script again after and Error 43 is still present. I tried to disable NIC in my laptop bios but still nothing is working for me. Spec : Windows 10 Pro 64bits. Since windows 10 update done on the 13th December (build 17763.194), error 43 came back and cannot solve it using batch or old way. I didn't try yet to remove the windows update. I tried downloading this fixer but it says that my GPU has already been error 43 fixed while in device manager its still getting the error code 43. My eGPU adapter is a exp gdc beast and i use a gtx 750 ti windforce. all this happened when trying to open just cause 3, I did not have enough ram and I got blue screen, from that moment stop turning on the graphic card. It should be said that before the graphics card was lit at the same time as the laptop, but now it has a delay of about 5 to 10 seconds before turning on and it is only when the laptop is connected to the charger. I hope someone can help me, this is killing me everyday.